Feathers and stripes! A knitted skirt—also, earrings. 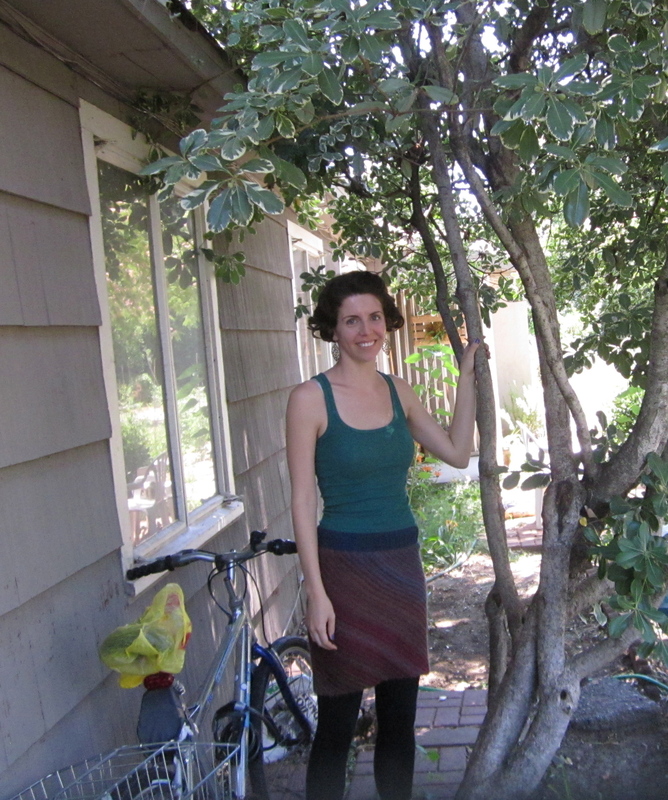 I have returned from a long blogging hiatus! It’s hard to say what exactly kept me away. Life, I suppose. I’m pretty sure I missed any opportunity to capitalize on my spike in blog traffic when a Make magazine blogger linked to my post about the nerdiest crafts I have made. At least I can now say that I was famous on internet for 15 minutes for sewing a Star Trek pun onto an oven mitt! Anywhizzle, on to the crafts. Which I made a while ago, but never blogged. So new to you! 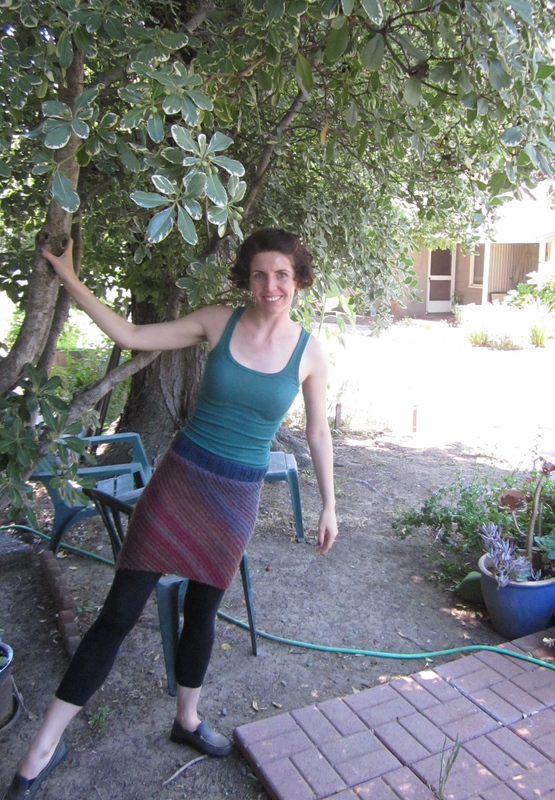 Q: How hard is it take a photo of yourself in a skirt if you don’t have a friend around or a tripod? 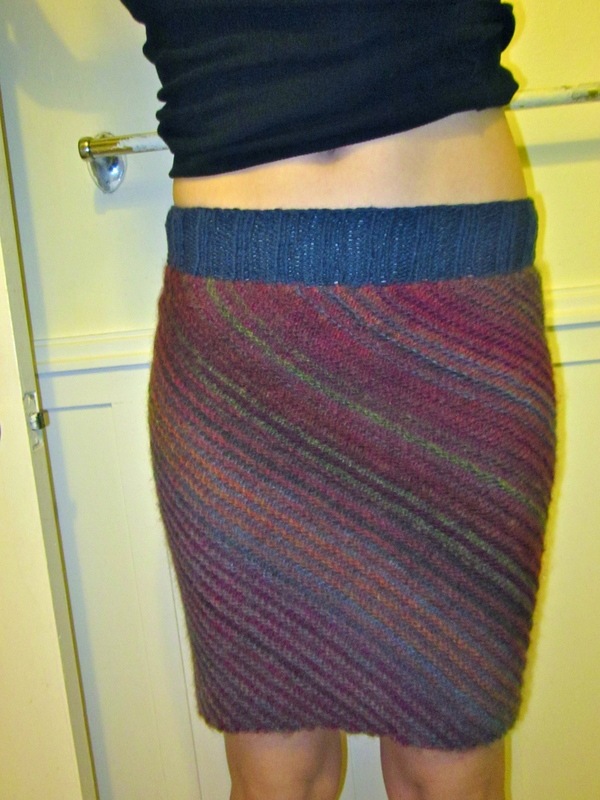 This is my version of the Lanesplitter skirt from Knitty (here’s my ravelry project page for it). I started this way back in late November, it was a great easy project for knitting while watching movies. I used the rather silly named “Amazing” yarn from Lion Brand in the Ruby colorway because it’s got beautiful color changes and it was a slightly more affordable alternative. It’s a wool blend but in the few months I’ve worn it, the yarn has held up well. It’s a little bit tricky to bike in—this has become the standard by which I judge clothing these days—but it does work! Best with leggings underneath though. If you’ll notice, I alternate which side I wear in front, because the color changes are different. I used some leftover Bernat cotton yarn in denim for the top band. I ended up ignoring the directions to tuck this band under and sew it to the skirt because I wanted a bit more length. I ended up kind of combining the directions for the XS and the S so that I could get the circumference of the extra small but the length of the small—yay for customizing patterns! But in the end I wanted just a few more inches of length anyway. I loved this pattern, especially the way that it was knit on the diagonal! I wish more knitting patterns were like this—clever construction, easy repeats, great for showing off color changes. Also, I like stripes. 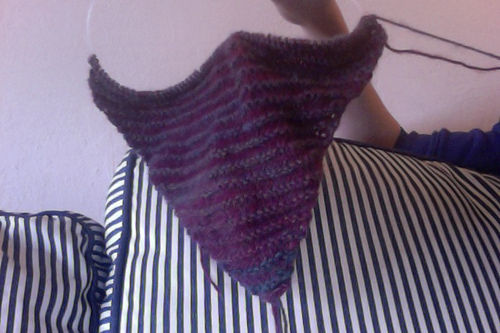 I should knit more things with stripes. 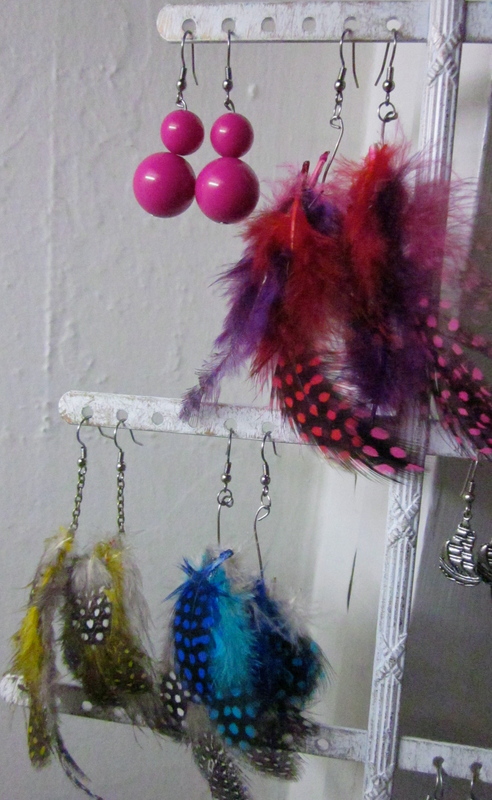 Q: What can you make with a bunch of craft feathers, some broken necklaces, and a hot glue gun? A: Earrings that look like you got them at Forever 21—except possibly of higher quality. Eons ago, I got bored and remembered I have a bunch of metal earrings hooks and rings and some needle nose pliers. I decided to experiment. 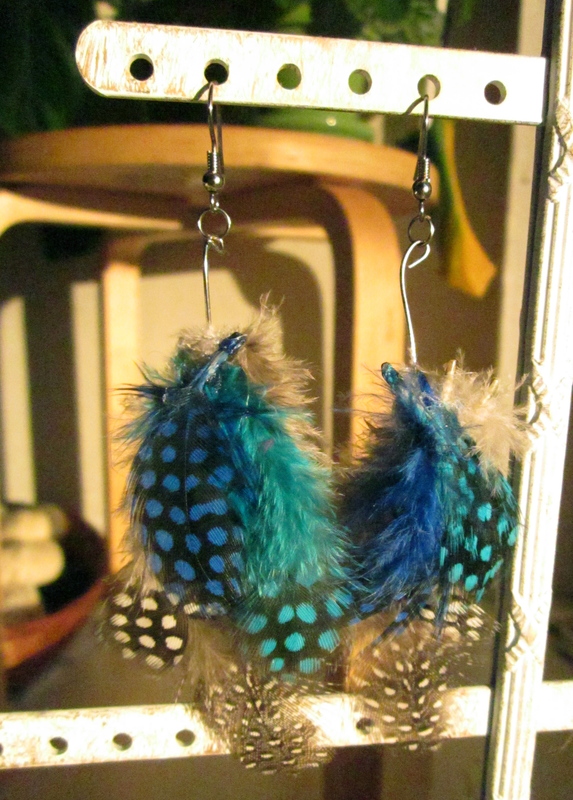 I made earrings that are just long enough to slightly tickle my collarbone. These were the first and most outrageous ones. I have since given them away. 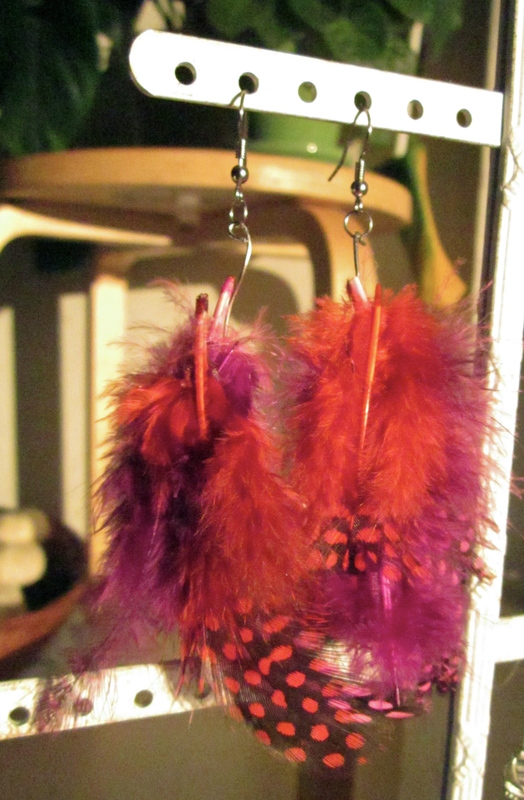 I had the idea of sticking a long metal piece through a large pink bead from a broken necklace, then gluing a bunch of pink and purple and red feathers to the pink bead. It worked, though it was a little bulky. I did pretty much the same thing here, except I used a small gold bead in the back. I like the feather colors here! But both of these earrings were kind of stiff. So I changed it up a bit. 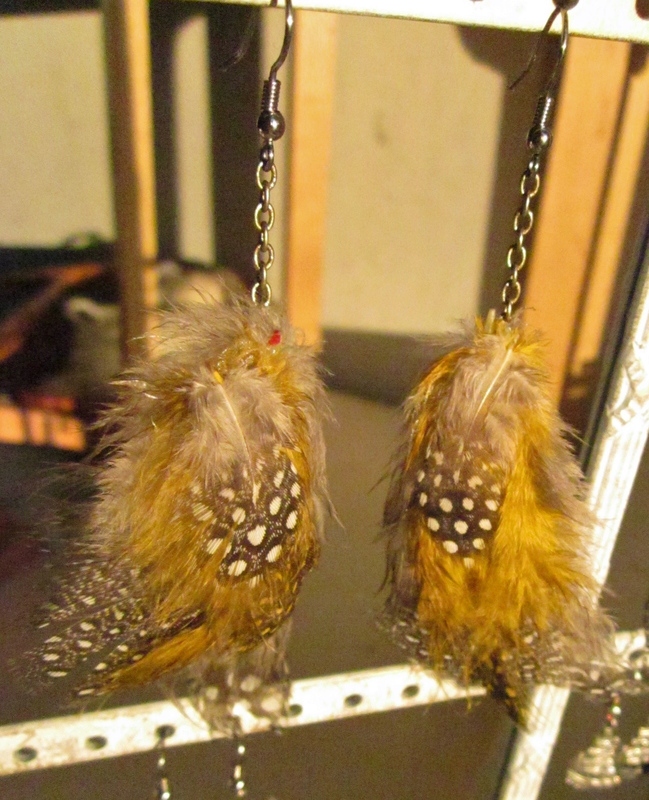 For the yellow and gray feather earrings, I just glued the feathers to a few small links of a chain from a broke necklace. These earrings tend to float more, if that makes sense. They are my favorite. 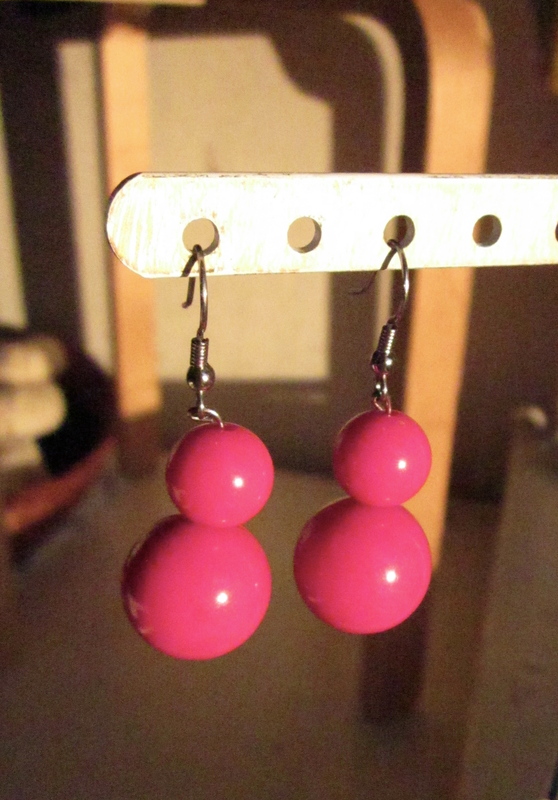 As it turns out, the best thing to do with the pink beads from the broken necklace was to just make them into their own earrings, no feathers involved. If I actually knew any beading terms, I would explain to you how attached them. But I don’t! So as you can see, I, um, connected them and stuff. And I like them. That’s what counts.